Congratulations on beginning the process to home ownership! The closing process may seem baffling if you don't deal with it on a regular basis, but your real estate agent will be by your side to monitor progress and ensure each entity is completing the necessary steps. Your agent will likely be the one to help connect you to all the various entities involved in the process as well. Your real estate agent can recommend several different title companies to assist you with the closing on your new home. Each title company's fees can vary from company to company, so it is important that you review these fees prior to hiring your title company. When reviewing a Preliminary Title Report, it is important to check the extent of the ownership rights or interest you will be acquiring. 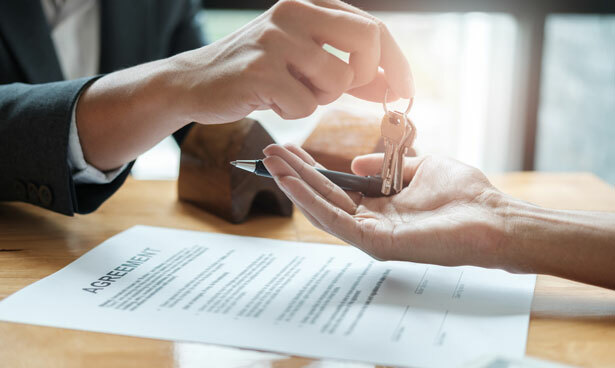 The most common form of ownership interest is 'fee simple' or 'fee', which is also the highest form of interest an owner can have in real estate. Liens, restrictions, and interests of others will be listed numerically as exceptions in the report. Between the time you finalized your offer and closing, the home inspector will visit the property to relay their findings. The loan agency will likely send out an appraiser as well, and sometimes an FHA inspection is warranted or necessary. Other inspections that can occur on a property are city inspections, often known as time-of-sale or truth-in-housing inspections. It is important to note that these inspections are for building code and hazards only. They are not as in-depth as a private buyer's inspection. Although the title agency will likely handle title insurance, your lender may also require you to obtain homeowner's or other policies before providing you with a loan. Some jurisdictions mandate specific types of insurance are held as well, and your real estate agent can identify which ones you'll need. Sometimes law mandates that contingencies of the sale are released in writing, but it's commonly done as a formality regardless. You'll also have to place the funds needed to purchase the home into the escrow account, and the agency will then release the money to the seller after the documents are complete. At long last, the home is nearly yours. You'll need to sign documents that say you're receiving the property and that you accept responsibility for the payments. You'll likely receive the title, though some lenders opt to hold onto it. In the background, the title company will file the necessary documents with the proper governmental agencies, like the register of deeds. Once everything is finalized, you'll still need to wait until the agreed-upon occupancy date to enter the home. During this time, you can pack, prepare for the move, and set up services like power, water, and Internet. Although your real estate agent will be with you every step of the way, you can always call them if you have questions or need help; before, during, and after the sale.